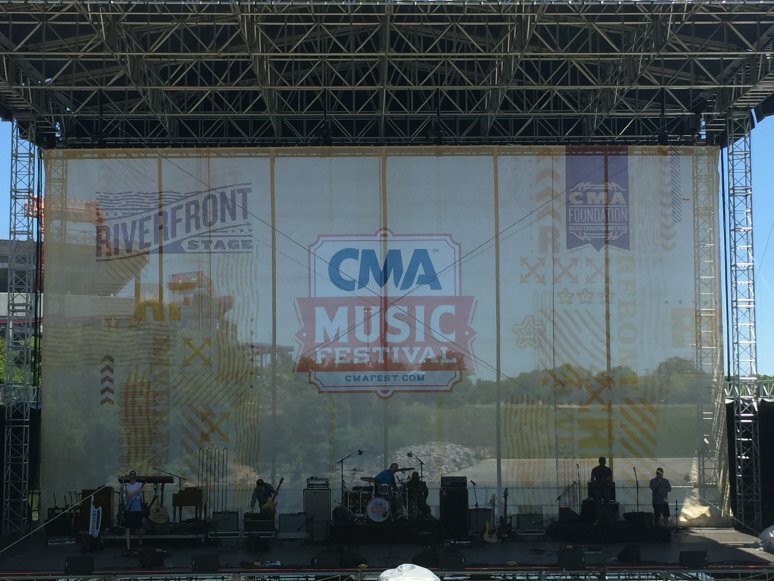 Big Visual Group is proud to be the CMA Music Festival’s signage and print partner. 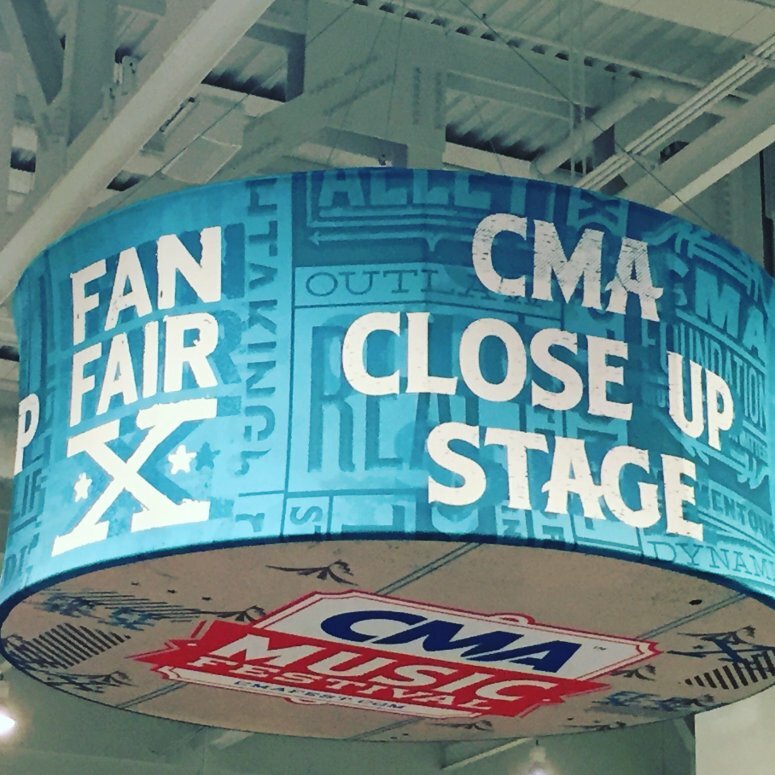 The festival took place June 9th–12th in Nashville this year, and we helped fans have the ultimate Music City experience. Our team has this special event in our minds all year long, and it’s something that we get really fired up about. All hands are on deck for this project! 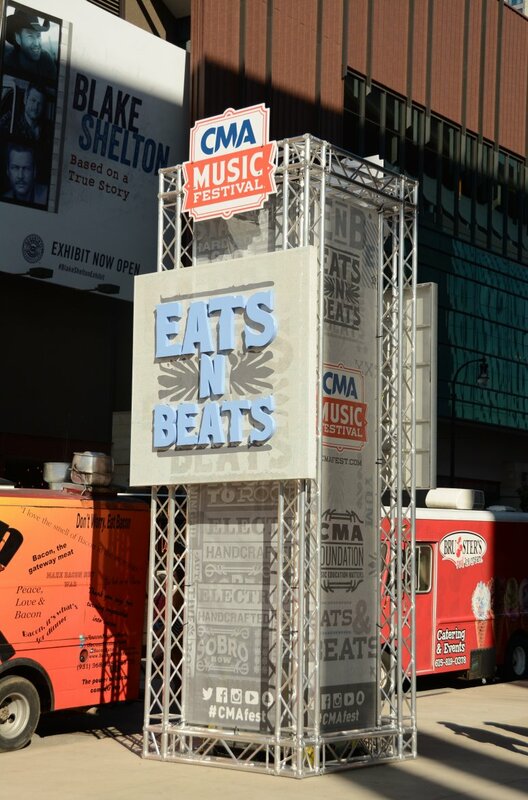 Our designers created products for the event that were high quality and designed with a sharp eye. Our very own Jake Swimmer designed the truss tower featured below in-house using his creative talents and a 3-D design software. The hanging tower featured below is 14-feet in diameter. Luckily, we have an in-house seamstress who sewed this masterpiece together. Once five guys helped seal the zipper on top of the tower, this creation was ready to be hoisted up in the air. 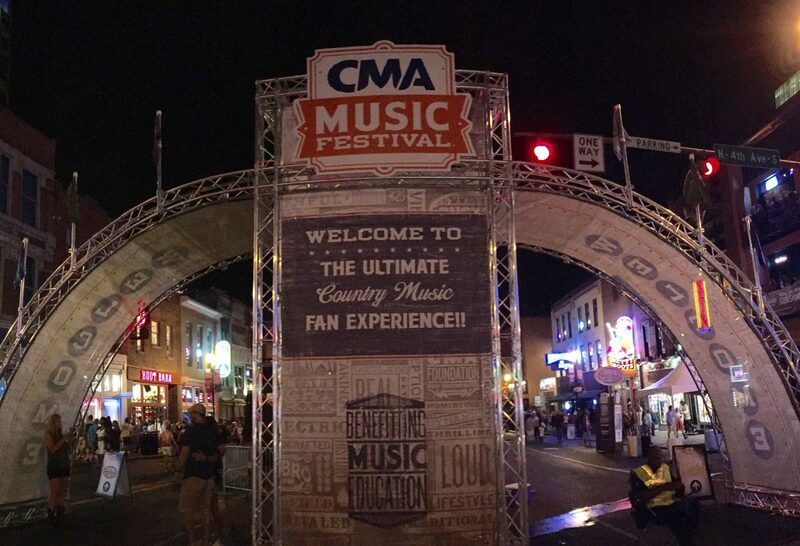 The CMA Fest brought in roughly 88,500 fans per day this year. It is exciting to watch the numbers grow each year, and we are honored to be a part of that success. 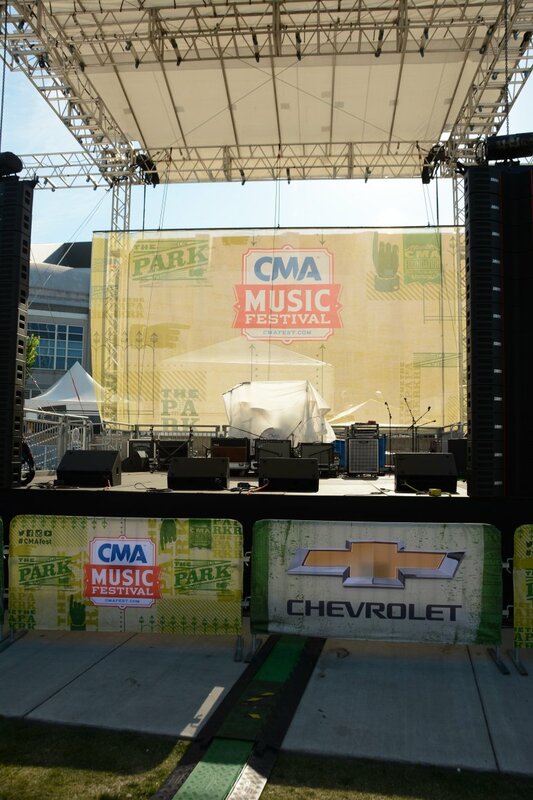 We look forward to supporting the Country Music Association Festival for many years to come!